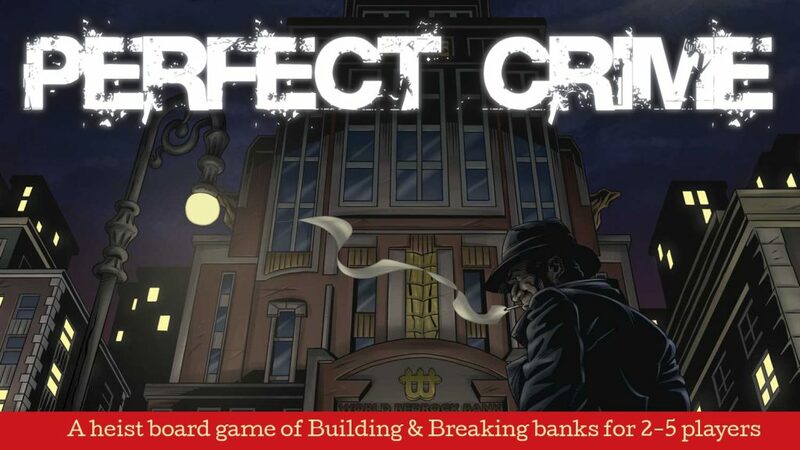 Perfect Crime is an asymmetrical co-operative game where players (2-5) can take the role of dedicated bank robbers to infiltrate a bank and defeat their systems to steal the valuable loot or play as the bank to stop the criminals once and for all. It was successfully funded on Kickstarter and is being developed by Grublin Games of Waggle Dance and Cornish Smuggler fame. Grublin Games will be showcasing Perfect Crime at their stand – T12. As I pledged for this when the kickstarter was running, I’m interested in seeing the up to date graphics and board (as when I saw it at last year’s expo, the game was prototype pieces). Adrenaline – This was a hit at last year’s expo but I never paid it attention as it was a game for 3-5 players but now that my son in moving onto more complex games, this is now on my radar. Also, at this year’s expo, there is an expansion for a 6 player that also allows for team play. The Maiden Voyage is a game that is being designed by Janine and Stu Turner from Wren Games. Anything to do with space and instantly hooked and when it comes to space and AI, I’m doubly intrigued. What is the Maiden Voyage about? The Maiden is an A.I. controlled spaceship that has been infiltrated by Saboteurs who want nothing more than for its mission to fail. Players take on the role of an AI-bot, each having their own unique specialisms and quirks. Your objective is to safely guide The Maiden and her crew of Scientists to their destination. You must avoid asteroids, deal with unexpected events, help the Scientists into stasis pods, protect against sabotage, visit planets to collect supplies, keep the ship in a good state of repair and ward off a second major attack by Humanity’s Saboteurs. The game will be showcased in the PlayTest area at 10am or 11:30. The Playtest Zone is located in NEC1, Stand 40. 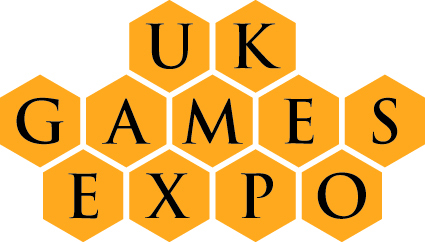 It has also been selected as a finalists for Wyverns Lair at this years UKGE in the Toute Suite between 3pm and 5pm. I’ll be checking this out and will hopefully report back on how it looks and plays. Pocket Mars has snuck up on me, it’s about Mars, so again, I’m curious to see what the game is all about. From the description on Boardgame Geek, it looks to be a short card game that deals with setting up the first settlements so that when the first people to Mars arrive, they have a place to put their weary heads. The short playing time is a plus and I think my son who has an interest in science will appreciate the theme. Superhot is a first person shooter with a difference. In Superhot, you have the ability to control time. When you move, time progresses. When you stop moving, so does time. It sounds easy but when enemies and bullets swarm towards you, you have limited time and movement to think. Now, Board and Dice have brought the widely acclaimed game to card format. Can you defeat your enemies and accomplish your goals before you die in a hail of bullets? My Little Pony RPG – Will be checking this out, as my daughter (who is 4) loves My Little Pony and is always telling me about Rainbow Dash, Twilight Sparkle so I thought it would be fair to see whether this is a RPG system that she can get involved in.- Honest! 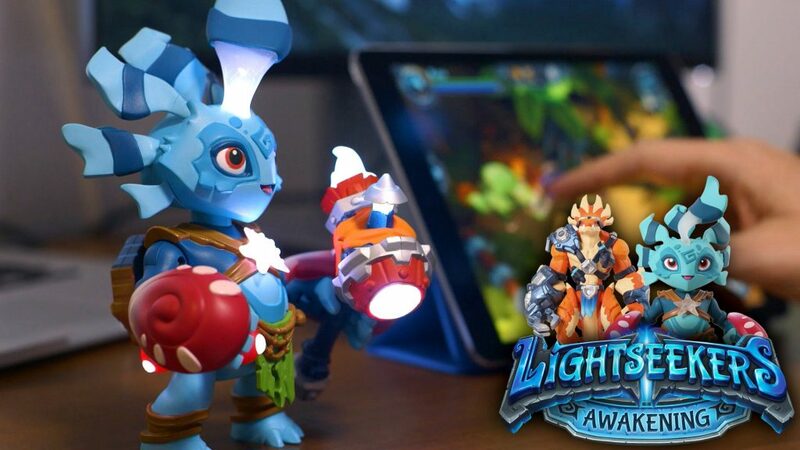 Lightseekers – At first glance, this looks like an evolution of Skylanders with the models, but with the addition of trading cards and weaponry/gadgets that you can add to different figures, it seems that TOMY want to corner the market. Posted in UK Games Expo, Uncategorized and tagged UKGE. Bookmark the permalink.